The parliamentary majority in Macedonia abolished the obligation to pay the broadcasting fee, after the amendments to the Law on Audio and Audiovisual Media Services were adopted by an urgent procedure. The new legal amendments provide for financing of the PBS Macedonian Radio and Television (MRT) from the state budget in the amount of 0.5 percent of the annual state budget. For that purpose, it is necessary to allocate about 14 million euros from the Macedonian Budget for 2018. In the wake of the adoption of the legal amendments, journalists’ associations and media organizations have divided opinions regarding the abolition of the fee, as well as about the amount that should be allocated for financing the PBS MRT. 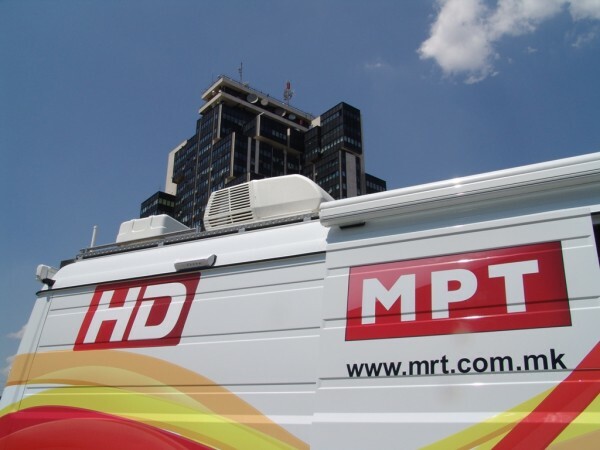 The Macedonian Institute for Media (MIM) and the Institute for Communication Studies (ICS) object to this decision and believe that the departization of MRT’s governing bodies will result in the improvement of the viewership and the collection of the broadcasting fee. “Actually, the broadcasting fee is a public fee in all European countries (except for Bulgaria, Kosovo and Montenegro). First of all, we believe that it is necessary to determine the needs of the public service with respect to the program and financial aspect and (possibly) to determine the amount of budgetary funds for one-time (or for a limited period) assistance to the MRT for strengthening its technical capacities “, reads the statement of MIM and ICS. The remarks of the Association of Journalists of Macedonia refer to the percentage amount of the state budget that should be allocated for the public services. The Association of Journalists of Macedonia, the Independent Trade Union of Journalists and Media Workers and the Council of Media Ethics of Macedonia believe that instead of the allocated 0.5 percent, the state should allocated 1 percent of its budget for financing the public service radio/television. The main arguments behind this according to them is the insufficient equipment of the MRT, the lack of correspondents network, the low salaries of the employees, as well as the need for employment of new experienced and qualified journalist and other creative staff. Media experts also expressed disagreement with the legal amendments regarding the financing of the public service. In the review of the new state funding model, journalist Teofil Blazhevski concludes that with the adopted legal solution to abolish the broadcasting fee, the public broadcasting service will have less money and will be even less effective than before. According to Blazhevski, next year, MRT will have around 10.7 million euros (74.5% of the total approved budget/ 14 million euros) unlike 2016, when the public service received a revenue of about 14 million euros only from the broadcasting fee, and together with other revenues, the available budget reached around 19.3 million euros.